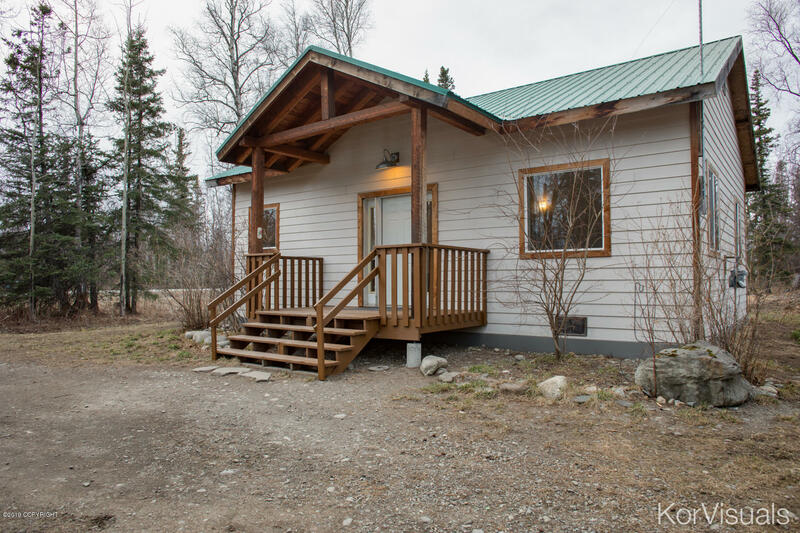 Adorable home just minutes from Wasilla! Featuring open concept living area w/ vaulted tongue & groove cedar ceilings & 9' ceilings throughout! Tile floor in bathroom w/laminate in the living area & wired for surround sound. Home has a 3 bedroom septic, great add-on or add'l building potential! Situated on 1 acre, this property is both horse & chicken friendly! Home Warranty included!